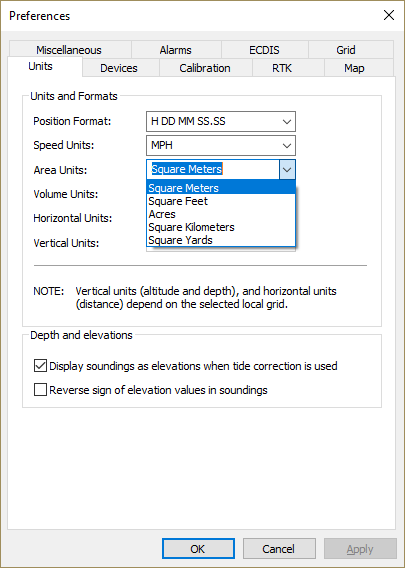 Eye4Software Hydromagic offers a variety of tools to calculate or measure the area covered by a sounding, map feature or other object. Areas are calculated by converting all coordinates of the selected area to vectors. The calculated vectors are passed to a cross-product formula used to calculate the total area of the object measured. Before performing an area measurement, make sure your preferred area units have been set! To specify the units used for area calculation, open the "Preferences" dialog, by selecting "Preferences..." from the "Options" menu. Now click on the "Units" tab. For more info on how to set units, please refer to the "Unit settings" page. Use the "Area Units" drop down box to select the preferred units, and click the "OK" button to store the new setting. 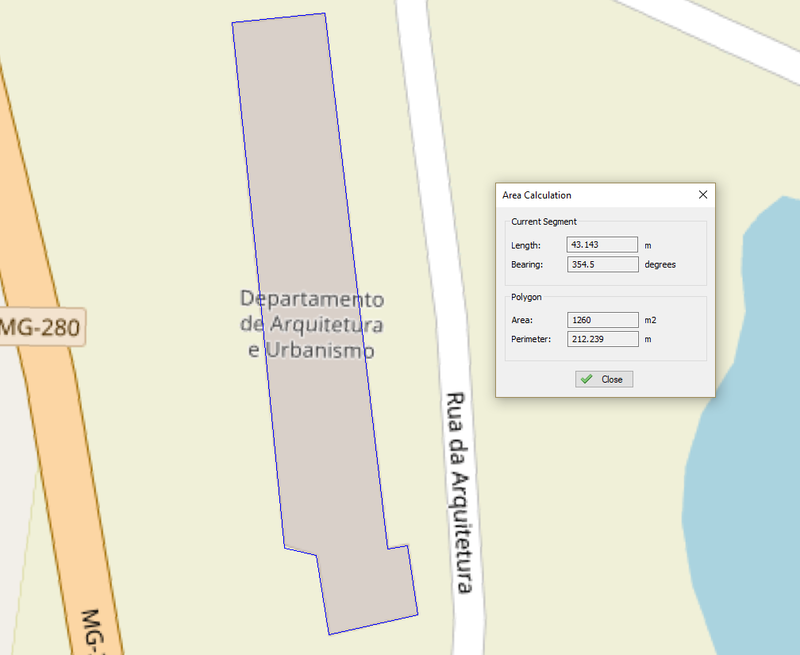 Areas of map objects can be calculated by selecting the corner coordinates of the polygon using the mouse. To get the most accurate results, make sure that the object is zoomed in at the maximum zoom level. Now select the "Area" cursor tool by selecting "Area" from the "Cursor" menu. You will notice a blue line drawn around the object. 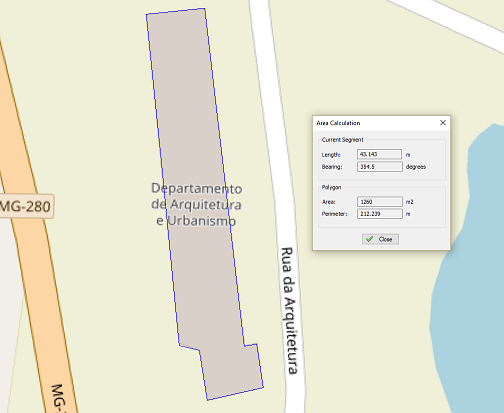 A dialog box appears on top on the map showing the current area and perimeter of the map object. and return to the previous mouse mode.